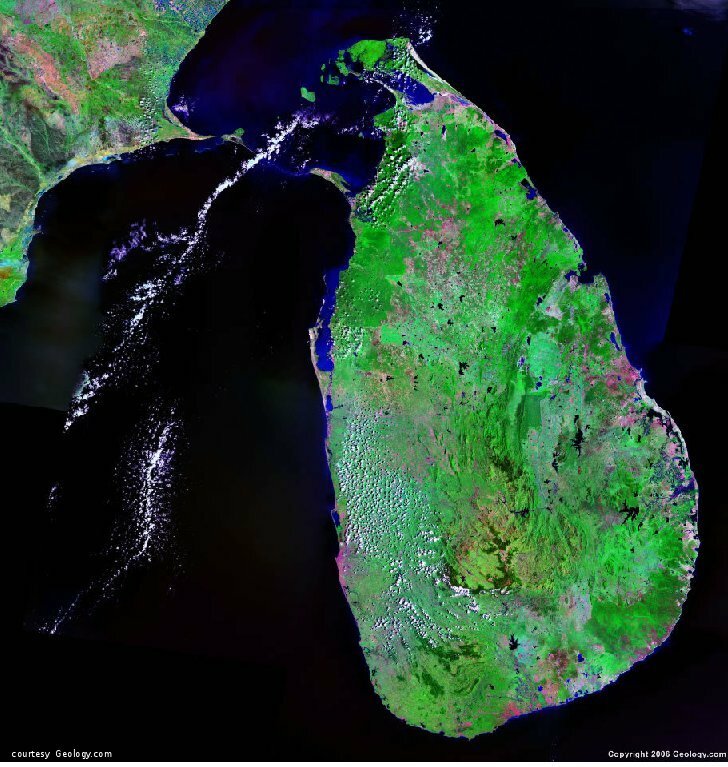 OF SINHALA PLACE NAMES & TAMIL FORMS. Writing Sinhala with a standard English keyboard- an efficient transliteration scheme: an e2s-map. Any practical scheme should be intuitive, accurate, and use only symbols available on the standard keyboard. Thus the phonetic alphabet used by linguists, or the system used by the Pali text society or the Madras Tamil Lexicon project would be inconvenient as they use special symbols like é θ ƞ etc., which are not available on the standard keyboard. Use of key-shifts and special characters make typing slower. Here we present an easy, practical alternative which can be coded to automatically render the sinhala Unicode characters as one types in using the standard Englsih keyboard. We call this e2s sinhala writing or e2s-mapping. Typing with the e2s map could be faster than using a mechanical Sinhala keyboard as it does not envolve shifts for aelapili, kombu etc. The same map can be used to include Devanagari, Tamil, or other characters, or to set up a machine translation scheme from Sinhala to other languages. The letters in a Sinhala word almost fully (>90%) determine the pronunciation of the word. Thus we need a cluster of english letters for each sound unit of the sinhala word. No capital letters are normally used in Sinhala writng. Thus the word TIBET, or tibet is made up of three clusters ti, be, t,. Here we have two-letter and one-letter clusters. TASMENIYA is made up of five clusters TAE, S, ME~, Ni, YA, where we have used the ~ symbol to indicate that the "me" is a elongated. We type words with each cluster separated by a space, and words are terminated by a comma (two spaces can't be used, as spaces do not necessarily show up as two spaces on all browsers, unless html tags are used). For example "Lasha Tibet Tokyo Japan" is e2s-mapped as shown. Of course, very often the spaces between the clusters can be dropped and one may write Tasmeniya in e2s-mapping as Taesme~niya . The spaces have to be retained if the e2s-map is going to be fed to a computer which transcribes it into Sinhala Unicode. There are sixteen sound forms for a typical consonant. The sounds D, T can appear as a soft D, T or hard D, T.
but we also accept the latter, i.e., t.
here too we use lower and upper case to distinguish the two cases (see tables below). Many consonants have a Hard (mahaapraana) form and a soft from (alpapraana). The binduva, Yansaya, R~epya and Rak~ransaya. Sinhala can be written avoiding their use, as they are effecttively a hang-over from hand-writing. Read a discussion abut this, and the zero-with joiner, ZWJ. But they can be easily incorporated in the e2s-map easily, unlike with the sinhala keyboard. We use the upper-case letters G, Y and R to clearly indicate the use of this form of wrting. The "yansaya" as in VidYa, විද්‍යා i.e., Vi dYa as opposed to Vi d ya වි ද් යා which avoids the yansaya. That is, an extra set of sinhala key-board inputs defining the ZWJ (&#x200d;) is needed to write the "yansya", repya or raka~ra~nsaya, unlike when writing by hand, or when using the e2-map. The "Rakaaransaya" as in kRiyava, inputs the letter R following the current letter i.e, kRi ya~ va. The raka~ra~nshaya is avoided by writing k ri ya~ va .
සැමවිටම සිංහල බසින්ම ලිවීමට උත්සාහ කරන ්න. විශේෂ හේතුවක් ඇත්නම් පම ණක් ඉංග්‍රී සි බසින් ලිවීම වරදක් නැත. යම් ගැටලුවක් සමූහයට ලිවීමට පෙර, පිළිබඳව මීට පෙර සාකච් ඡා ව ී තිබේදැයි සොයා බලන්න. sae ma, vi Ta ma, si ng ha la, ba si n ma, li vi~ ma ta, u th sa~ ha, ka ra n na. vi she~ sha, he~ thu va k, ae th na m, pa ma na k, i ng ri~ si, ba si n, li vi~ ma, va ra da k, nae tha. ya m, gae Ta lu va k, sa mu~ ha ya ta, li vi~ ma ta, pe ra,, e~, pi li ba nda va, mi~ Ta pe ra, sa ka ch cha, vi~, thi be~ dae i, so ya~, ba la n na. saema viTama singhala basinma livi~mata uthsa~ha karanna. vishe~sha, he~thuvak, aethnam pamanak ingri~si basin livi~ma varadak naetha. yam gaeTaluvak samu~hayata livi~mata pera, e~ pilibandava mi~Ta pera sakachcha vi~ thibe~daei soya~balanna. Always try to write in sinhala. If there is a special reason, writing in English is no fault. Before writing to the group about some problem, check if there had been discussion about it before. The English letter clusters can be now trivially converted into Sinhala using the Unicode symbols table. This can be done using a few lines of code to read in the input stream and output the unicode hex-symbol for each cluster.